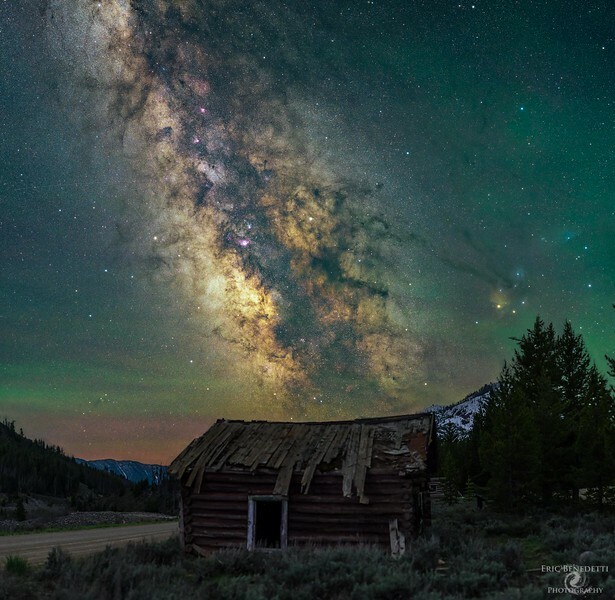 This is a shot from Bonanza, a small ghost town up the Yankee Fork Valley in Idaho. This area is home to a large gold dredge that spent many years in the mid to late 1800's mining the creek for gold. Large piles of rocks remain to this day piled all along the creek up the length of the valley and the old cabins in some cases are still standing....barely. 6 shots for this one, 4 for the sky and 2 for the foreground, all shot back to back with my Nikon D800E and Sigma Art 50mm lens on a Sky Watcher Star Adventurer tracking mount. Sky shots are 2 minute exposures at ISO 1600 and f2.8, foreground exposures are 2 minutes at ISO 1600 and f1.4.